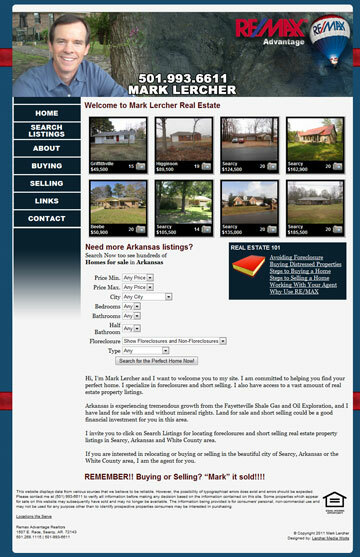 This website was built for a local ReMax Agent real estate website that receives a ton of traffic each month. The site ranks high in the search engine and uses a custom design and easy navigation and listing details to allow anyone and everyone to quickly find what they are looking for. It uses an advanced search functions to easily narrow down what type of listing they are searching for. Dynamic and Database controlled for the listings, this site puts the information in front of the searcher to make the process easy and simple to use.